Providence is a new luxury gated 2200 acre community built around the entrance to and alongside the Providence golf course. Standard and deluxe 3, 4, 5 and 6 bedroom villas with their own private pools are either located in smaller clusters around lakes or in a conservation area. The resort offers a fantastic central clubhouse, which has a communal pool, hot-tub, well-appointed fitness center and Internet business center. There are also tennis courts, a sand volleyball pitch, children's play-area and even a putting green. Which considering Providence Golf Club is on your doorstep could be very popular! Located south of the Kissimmee area, this area is becoming one of the areas for newer villas, so the number of local shops and restaurants may be limited. However, if you head towards Interstate-4 and Championsgate, you will find Pizza Hut, Wingstreet, Chilis and Beef O'Bradys amongst other eateries. Alternatively, carry on towards Kissimmee and US192 for the expected abundance of shops, restaurants and attractions. The nearest supermarkets for those everyday essentials is Publix, which is around 5 miles away at the intersection of Lake Wilson Road / CR532. If you are looking for the nearest WalMart Supercenter, this can be found on US192 alongside Medieval Times. Around 10 miles west at the intersection between Interstate 4 and US27 is the Posner Park shopping complex which has major stores including JC Penney, Target, Ross, Dress for Less and many more. There are also a selection of restaurants and a tavern near by. 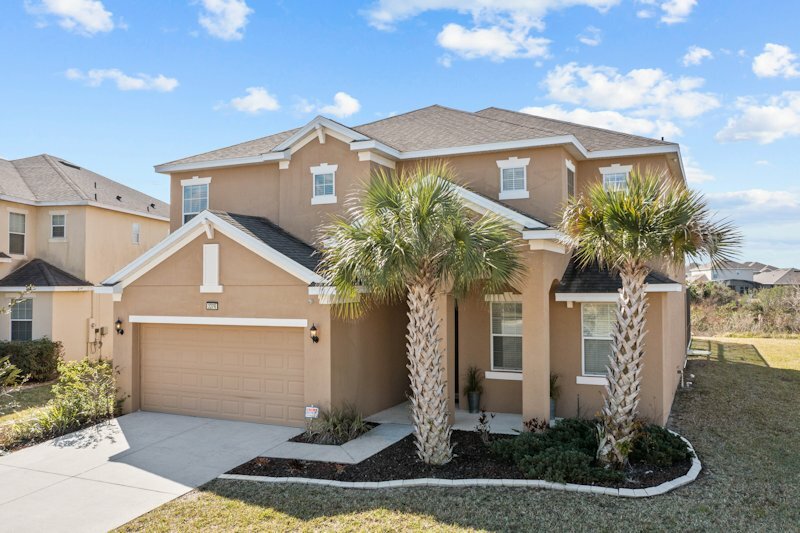 Providence is located south of Walt Disney World, midway between Kissimmee and Davenport. When driving to Walt Disney World and Kissimmee, Interstate 4 will offer the most straightforward route, with alternative routes being via Old Lake Wilson Rd or Poinciana Blvd (towards highway US192). For Universal Studios, SeaWorld and the International Drive area, head further north on Interstate 4 towards Orlando. Orlando International airport is accessible from Interstate 4 and the Beachline Expressway SR528. This is also the route to Kennedy Space Center and Cocoa Beach. For the Gulf coast and Busch Gardens, head south on Interstate 4 towards Tampa. For Legoland Florida, head south on highway US27 at the intersection with Interstate 4. Located south of the prestigious Walt Disney Reunion resort, the communities between ChampionsGate and Loughman are some of the newer vacation home developments. With purpose built resorts surrounded by fantastic golf courses, lakes and open woodland, the area is fast becoming a must-stay location. However, as the area is still growing, local shops and restaurants are likely to be limited, which means a car is a must to get around.